One of the best ways to promote you and your online course business is through public relations (PR). And best of all, it's FREE! Lucky for you, gone are the days when you need to dig deep into your pockets and hire a high-priced PR agency to help your business get exposure. If you know what do to, you can do it yourself. The best and easiest way to promote your online course is by using other people’s audiences. Being a guest on a podcast is my absolute favorite way to get my message out in the world so I can help more people. The key here is to focus on podcasts that your ideal customer listens to. How do you know what they are? Ask your ideal customer what influencers they follow and what podcasts they listen to on a regular basis. You can also find podcast hosts that are looking for guests by signing up for Podcast Guests. You can join the directory, so podcast hosts can find you, or just sign up for their free email where they send out podcast guest opportunities on a regular basis. 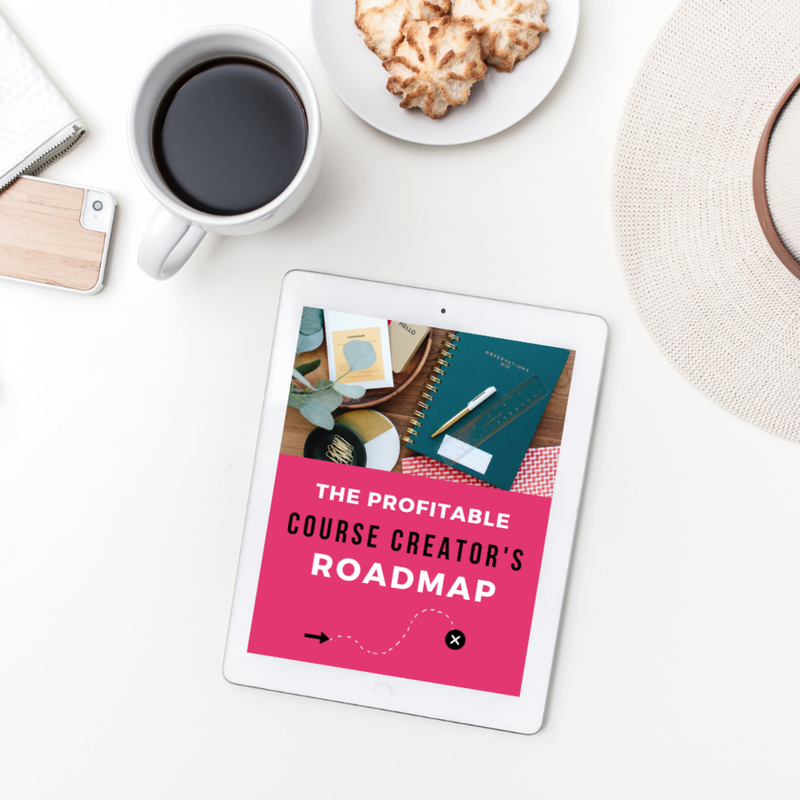 This should be the first stop if you’re looking to get press in order to get your name out there and sell your course. It’s also the easiest. HARO provides you with real-time media opportunities up to three times daily, straight from journalists on a deadline who need a source. You can filter opportunities by industry and start submitting your info immediately wherever it is relevant. For example, a reporter from Entrepreneur is looking for a source to share their personal stories about how to create the most effective sales funnel. Your personal struggle with funnels, and how you solved your sales woes, might be just what he or she need to finish the article. Click here for HARO's website. There are several ways to find guest blogging opportunities. One of my favorite ways is to approach firms that target my ideal customers who may offer a service that my ideal customers use (e.g. email service providers, course platforms, or design apps). This gives me an opportunity to establish my expertise and also help promote their service at the same time. In addition, guest blogging in a publication that your ideal customer reads is a great way to get in front of potential clients. To do this, you will need to pitch the reporter on your proposal. Just as you would strike up a conversation with any other human being, there’s no better way to catch a reporter’s attention than to engage them on a story they’ve just written. Obviously, their latest work is something they have a professional, and sometimes personal, interest in. The best way to contact a reporter is to send him or her an email. This way, you can demonstrate thoughtful analysis and commentary on their piece. Plus, your direct contact information is now at the reporter’s fingertips. Is your area of expertise related to a story that just made the latest issue of Inc.? Email the writer and show them why you’re a valuable source for future and related industry news. How do you find the reporter’s content information? According to KJ Blattenbauer, don’t ever spend your hard-earned cash on a media list. They are generally outdated, and you can find the information you need by conducting a simple google search. Type in the name of the publication and right after type masthead. From here, for many publications, you can find the journalist covering the area or topic you are the expert in. You may need to do a little digging to get their email address, but it’s a great way to start your research process. Speaking in front of groups is one of the most powerful ways to position yourself as an expert. When you step on stage or are seated on a panel, you develop a reputation as an authority in your field. Look for opportunities to speak or participate in panels at your industry conferences, at chamber of commerce meetings, or in front of social clubs. Don’t get hung up on how large or small the audience is in the beginning. Building your personal brand as an expert doesn’t happen overnight. With each step you take, your visibility increases, and your influence grows, opening up more opportunities to showcase your expertise. Once you become known as a speaker, the opportunities will keep coming. Remember to always offer value to your audience, focusing on what they want to learn about your area of expertise. I've been following your (blog/podcast) for quite some time, and I love your content and what you share with your (listeners/followers). Every time I (read a post/listen to an episode), I feel that I'm able to walk away with a single, clear action item. One recent example that really resonated with me was (input example). Thank you for considering my request! I look forward to hearing from you. Note: The content in this post was created with the help and guidance from KJ Blattenbauer. KJ is a business strategist and public relations expert with more than 22 years of experience working for leading American brands and succeeding with reputable public relations agencies. As the founder of Hearsay, a public relations boutique, she makes it her mission to help small businesses and brands succeed. You can learn more about KJ at kjblattenbauer.com or by following her on social media @kjblattenbauer.